American Airlines has announced plans to start new services between Miami and Brazil from December this year. The carrier said the new routes, which are subject to approval from the US transportation department, include flights from Miami to Brasilia and Belo Horizonte, along with one to Manaus. The planned connections will provide travellers with 10 extra weekly flights to the South American country - a development that will have been noted by holiday firms and travel insurance providers. 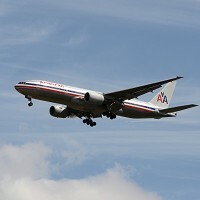 Will Ris, senior vice president of government affairs, American Airlines, said: "From Miami International Airport, we offer more than 380 weekly flights to more than 30 cities throughout Latin America and Mexico. "Our proposed new service will give our customers even more travel options to Brazil, Latin America's largest economy." American Airlines runs flights to Recife, Rio de Janeiro, Salvador and Sao Paulo from Miami. The carrier also offers services from its Dallas Fort Worth and New York JFK centres to Rio de Janeiro and Sao Paulo.